Abby the Librarian: 48-Hour Book Challenge!!! 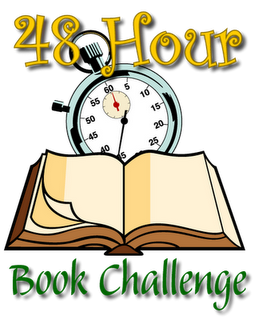 I AM GETTING SO EXCITED FOR THE 48-HOUR BOOK CHALLENGE!!!! Ms. Yingling will have more info, including the challenge guidelines up on her site this week, so be sure and follow her blog for the most up-to-date information. Please join us next weekend if you're able and please help spread the word!